A Certain Magical Index x Virtual-On crossover due out in 2018. Sega has announced a A Certain Magical Virtual-On for PlayStation 4 and PS Vita, a crossover between Dengeki Bunko’s A Certain Magical Index light novel series and Sega’s Cyber Troopers Virtual-On action game series stemming from a crossover light novel published in May 2016. It is a high-speed battle action game with online support due out in Japan in 2018. 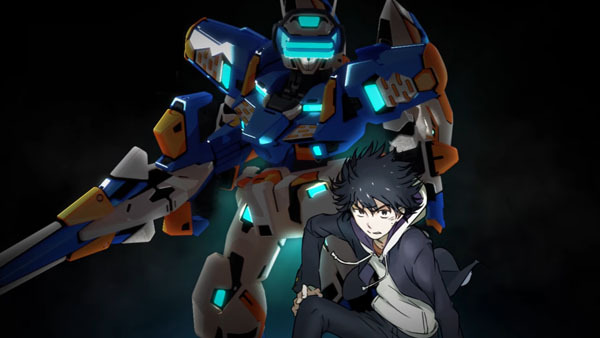 A Certain Magical Virtual-On is set in the world of A Certain Magical Index, in which Cyber Troopers Virtual-On appears as a “sport.” Stemming from the people piloting Virtuaroids mechas and participating in this sport was a sudden development leading to a world crisis that will eventually be made clear. The game is being written by A Certain Magical Index author Kazuma Kamachi, and Virtual-On series character designer Hajime Katoki is in charge of illustrations. The world that appears in A Certain Magical Index will carry over to the game. Starting with the protagonist Toma Kamijo, various characters including Index, Accelerator, and Mikoto Misaka will pilot Virtuaroids, and fierce battles will unfold in the Academy City setting. Watch the teaser trailer below. View a piece of artwork at the gallery. Visit Sega’s newly launched Cyber Troopers Virtual-On series official website here. Update 5:00 p.m.: The original version of this post called the game A Certain Magical Cyber Trooper (Virtual-On). I didn’t realize that the “Virtual-On” in parenthesis was an alternate reading for “Dennou Senki,” which Sega usually localizes as “Cyber Troopers.” After watching the trailer with sound I realized the title of the game should be read Toaru Majutsu no Virtual-On, or A Certain Magical Virtual-On. Update 9:35 p.m.: We’ve updated the post with more information, as provided by Sega’s official news release linked in the story.